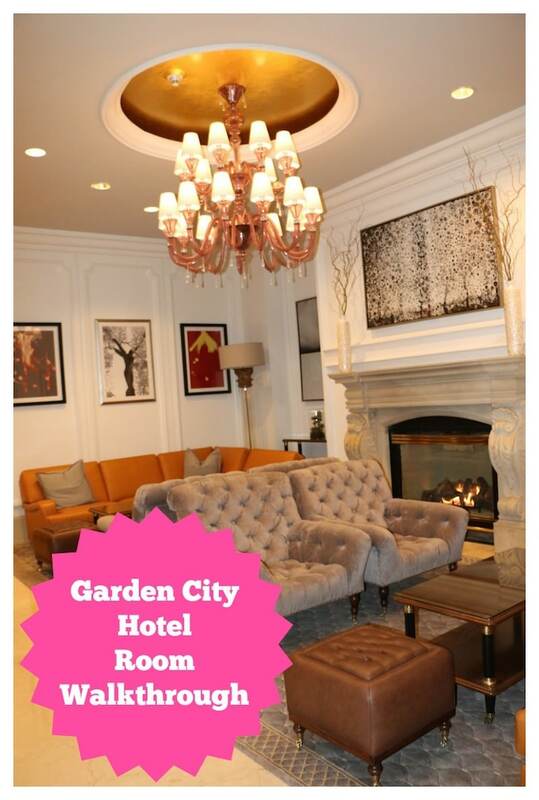 I love the Garden City Hotel and was recently invited to check out some renovations they put into play for 2014. Truth be told, I have a lot of love for this property. It’s probably where my daughter will have her Sweet 16 and get married (no pressure Natalie). The Garden City hotel is such an iconic landmark in my community. So, when I heard that they just underwent a multi-million dollar renovation and upgraded every room in their hotel… I just had to take a peek! If you wanted to see what the Garden City Hotel renovations looked like, here is your official sneak peek with a video walkthrough. I always love to see a video walkthrough of a hotel room because it truly gives me a great understanding of what the space looks and feels like. When I first entered our sample suite, I fell in love. Renovations were still taken place all throughout the property, but this room was done and ready for review. 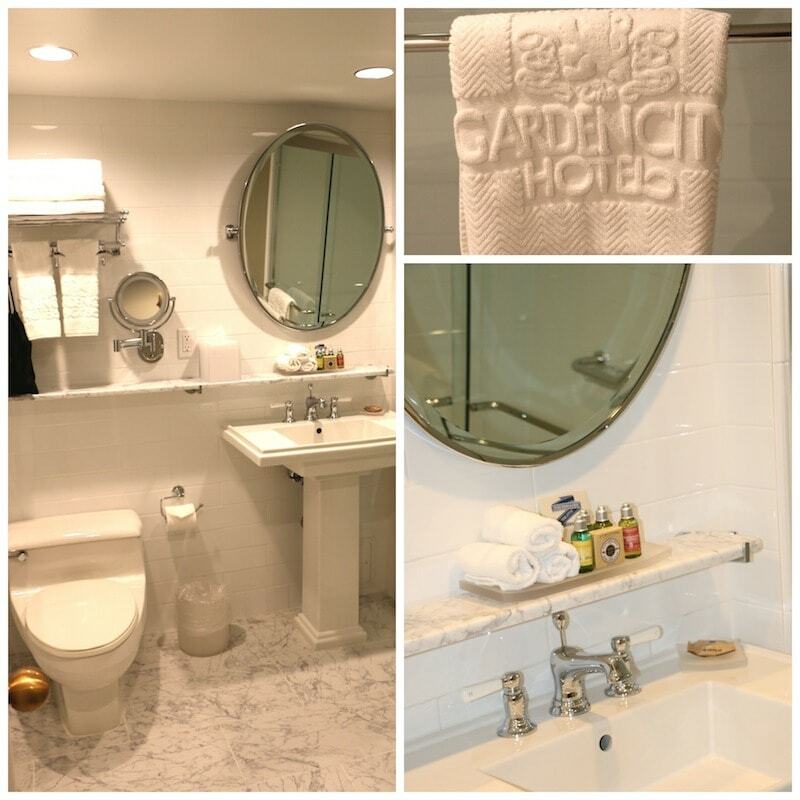 The Garden City Hotel is actually right in the middle of its 272 guest rooms and suites renovation. 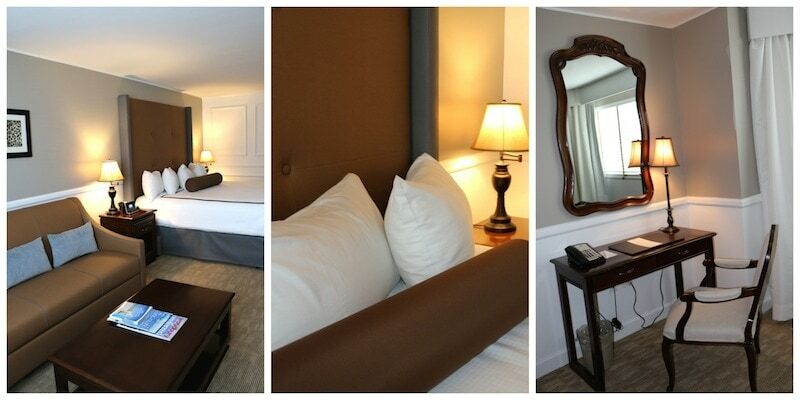 The extensive accommodations upgrade, which will comprise more than 300,000 sq. ft will include all celebration and meeting spaces, along with the new Polo Steakhouse and Polo Lounge. 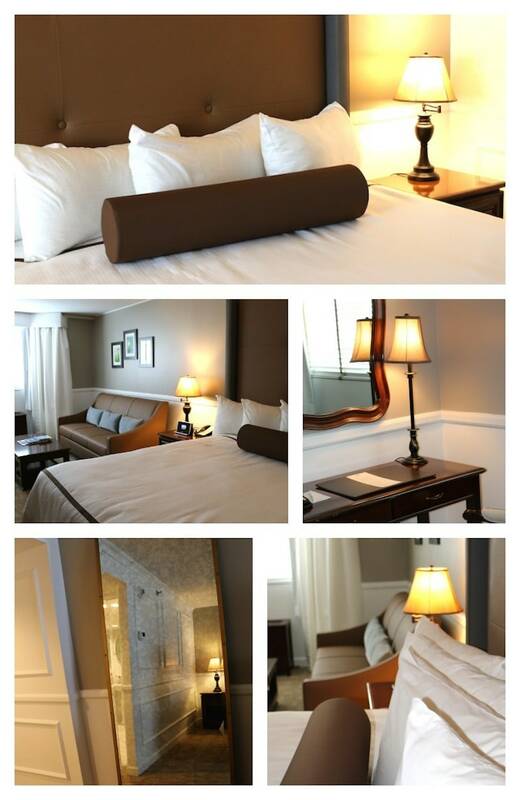 The hotel will be open and fully operational during the renovation with no guest inconvenience. You can see that the establishment still kept with the same elegant look and feel that guests have grown accustomed to throughout the years. There’s something so chic about this place! The Garden City Hotel rooms now have an updated and chic feel while still maintaining the classic luxurious feel the hotel is famous for. I love their bathroom design. I almost want to renovate my house and make it look like what they’ve done here. Love the all white, marble feel. Those subway tiles are IT. I even love the little perks they thought to place in the room – like a Keurig for every guest and Loccitane toiletries in the bathroom. They’ve left no stone unturned. Did I mention the Red Door Spa in the basement? 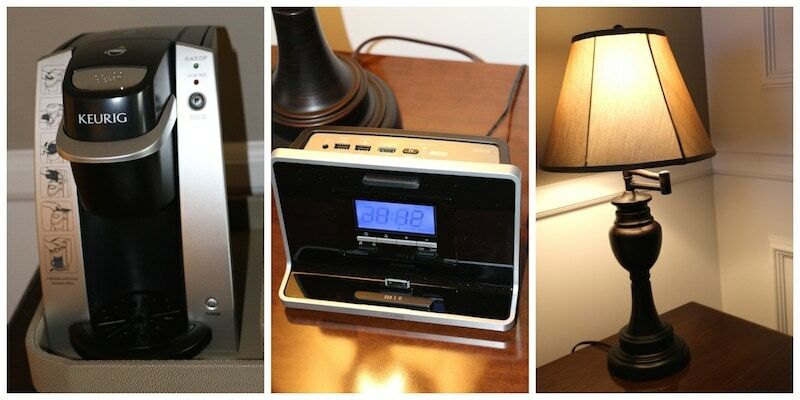 Guests will feel right at home … but totally taken care of while away. Be sure to watch the above video for a full walkthrough of the Garden City Hotel’s renovations. What do you think about their new design?! Next time you are in Long Island and in need of a room, consider this location. You won’t be disappointed!! Most people come here for the Belmont races if you are looking for something to put on your calendar. For more information, visit the Garden City Hotel’s website.